The portable solution provides all fundamental information, including signaling trace and IP trace to analyze the radio interface and optimize the quality of experience in the mobile network. QualiPoc Android collects all relevant data and information while measuring, including L3 signaling, IP trace and all test related KPIs. QualiPoc Android provides fundamental information for further drilldown analysis and optimization of the mobile network. QualiPoc Android offers the full range of audio quality assessment tools for 3GPP and OTT app service tests (e.g. WhatsApp call) using the latest ITU-T standardized algorithms such as P.863 POLQA, PESQ and SQuad. Support of multiple audio voice quality tests such as mobile to land unit and mobile to mobile in both directions (UL/DL) completes the full feature set for audio quality measurements. 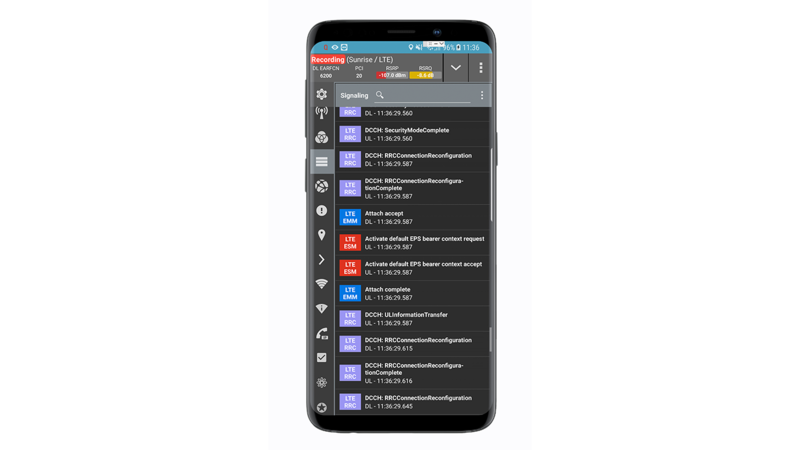 The numerous data tests offered on QualiPoc Android support all important protocols, are powerful tools for checking the best available throughput, and provide detailed insights. When running the test for the same web page, the device accesses the page without resolving the URL name against the DNS by keeping the IP address in the cache. QualiPoc offers both options: keep the cached IP address or force a DNS lookup for every request. 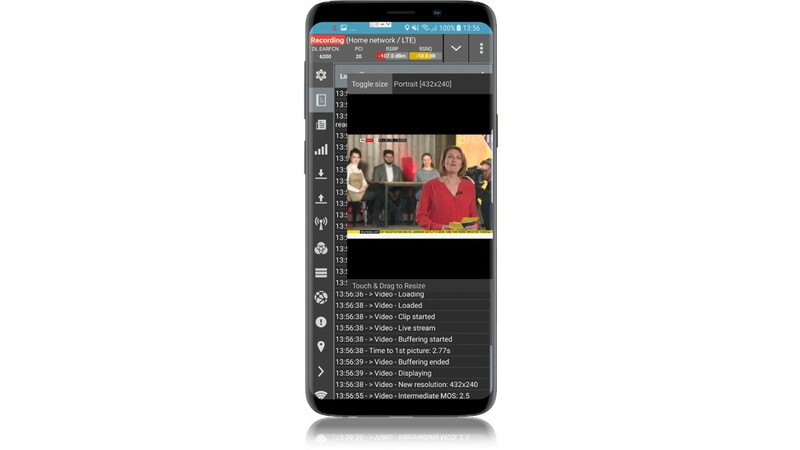 QualiPoc Android is the tool of choice when it comes to smartphone based video quality measurements in the mobile network. QualiPoc uses the hybrid non-reference objective perceptual video quality measurement algorithm ITU J.343.1. J.343.1 is designed for multimedia IP-based video services. QualiPoc supports video and live streaming tests on YouTube, Netflix, DirecTV now and Facebook Watch. Today, OTT apps play an important part in our everyday lives. Reason enough for mobile network operators to check how well they work on their network. QualiPoc supports a long list of the most popular apps and offers different actions for each app to replicate user behavior. E.g. ’send message’ or ’post a picture’ on Facebook; ’send message’ or ’call someone’ on WhatsApp. QualiPoc Android offers advanced forcing feature to lock the device to a channel or cell. This feature is crucial for RF optimization and site accpetance since it allows to measure the quality and performance of a specific cell. In parallel to active testing of the mobile network, QualiPoc also supports the operation of a mobile network scanner such as the R&S®TSMA. A scanner is independent of SIM cards and networks. It can simultaneously detect all cells in all bands in multiple standard technologies. The additional collected data by the scanner helps users identify problems that cannot be found with a smartphone alone. Measuring coverage (e.g. in a basement) and checking the service performance of an NB-IoT module are crucial steps during site acceptance. QualiPoc offers an easy-to-use, lightweight solution. The NB-IoT module can be directly connected to the smartphone's USB port. QualiPoc controls the IoT module via AT commands, displays all traces and test results on its monitors and stores the data in a measurement file. The perfect solution for IoT site acceptance.